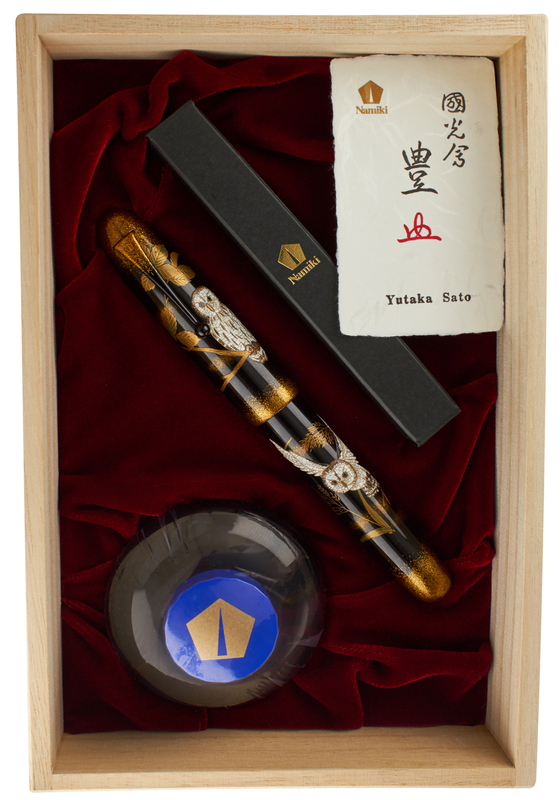 The Namiki Emperor Owl fountain pen pays homage to this symbol of wisdom, luck, blessings, and success in Japanese culture. With a design both stunning and restrained, this is a noteworthy addition to the Emperor series. As always, the generously sized Emperor provides the perfect canvas for detailed, hand-finished Maki-e design. Our complimentary nib tuning adjusts optimum pressure and ink flow to your personal preferences, and our exclusive nib customizations can add additional character and distinction to your writing on the page. We are an authorized Namiki dealer. Being in the presence of a snowy owl is an unforgettable experience. In flight it commands the air. Perched, its stillness is profound. 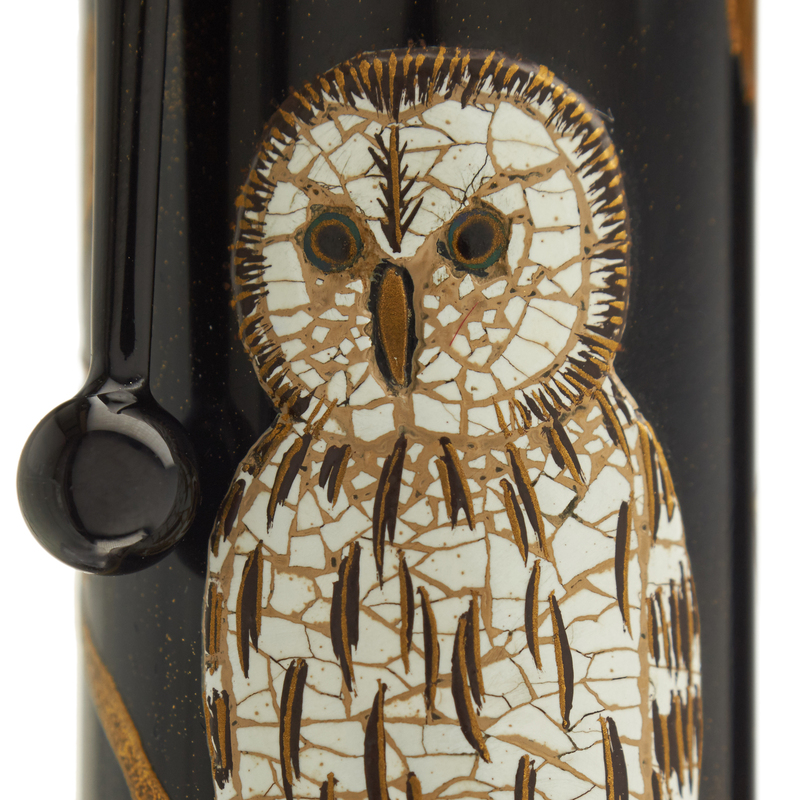 It is fitting that the owl itself is made from egg shell, inlaid into urushi lacquer. 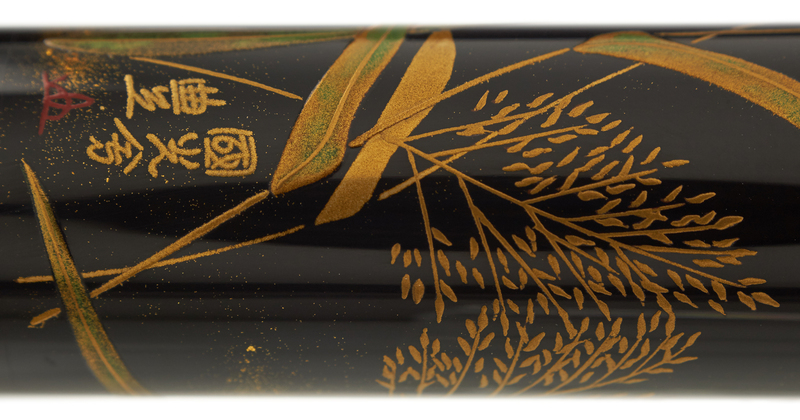 The other materials are also traditional, raden, and gold dust over layers of urushi lacquer on a body of ebonite. 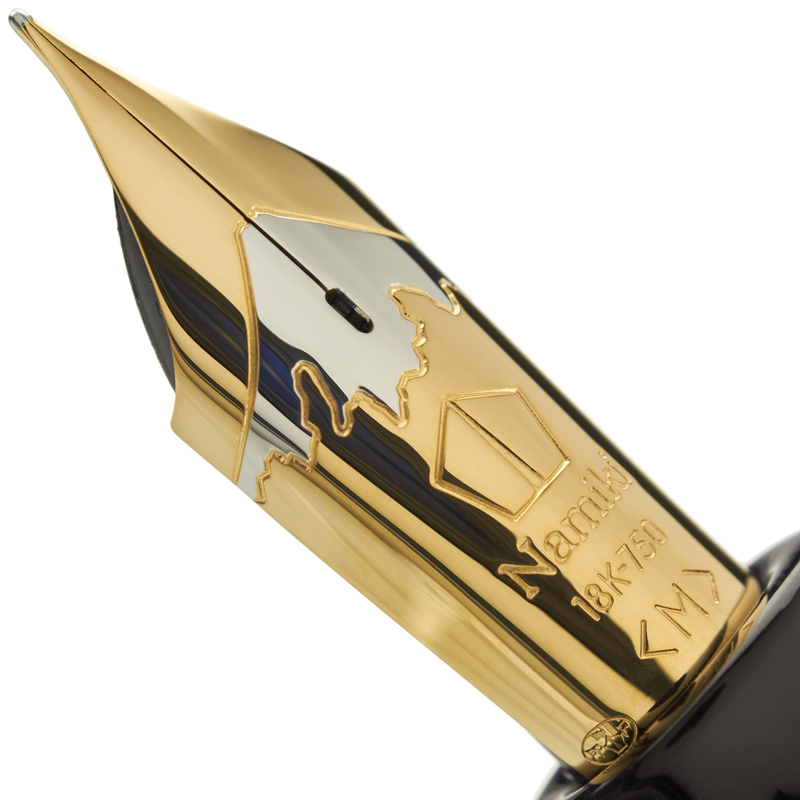 It is provided with an impressive solid gold Namiki #50 18k nib. The Namiki Emperor series is highly revered by pen connoisseurs for its high-end Maki-e technique, and the Owl showcases this beautifully. Ebonite serves as the base material, and the artist uses Rankaku Maki-e to handcraft the two owls using pieces of quail egg. 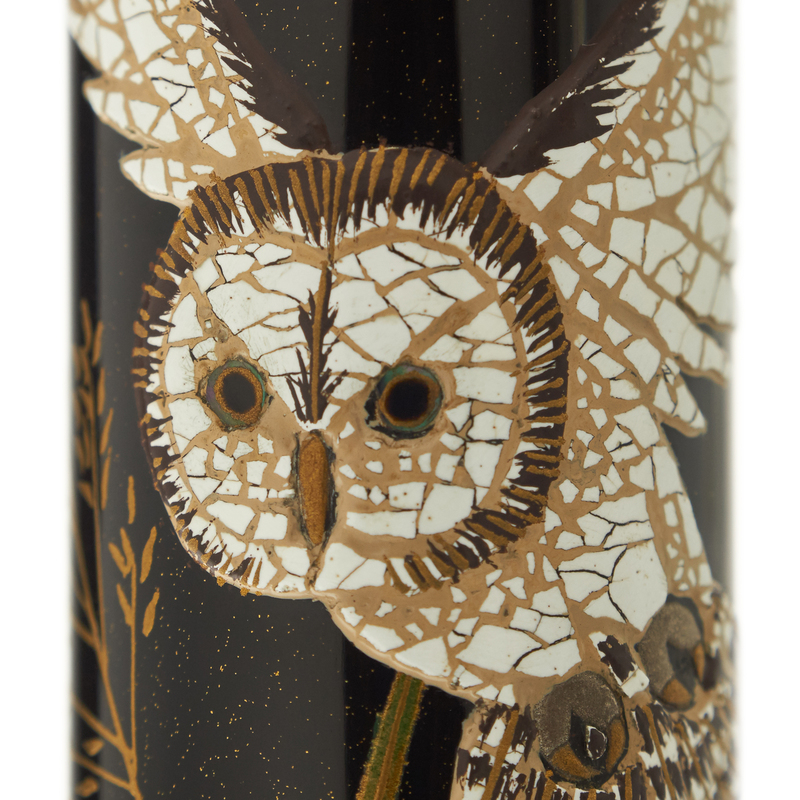 Raden (mother of pearl) is inlaid to highlight the owls' gleaming eyes. 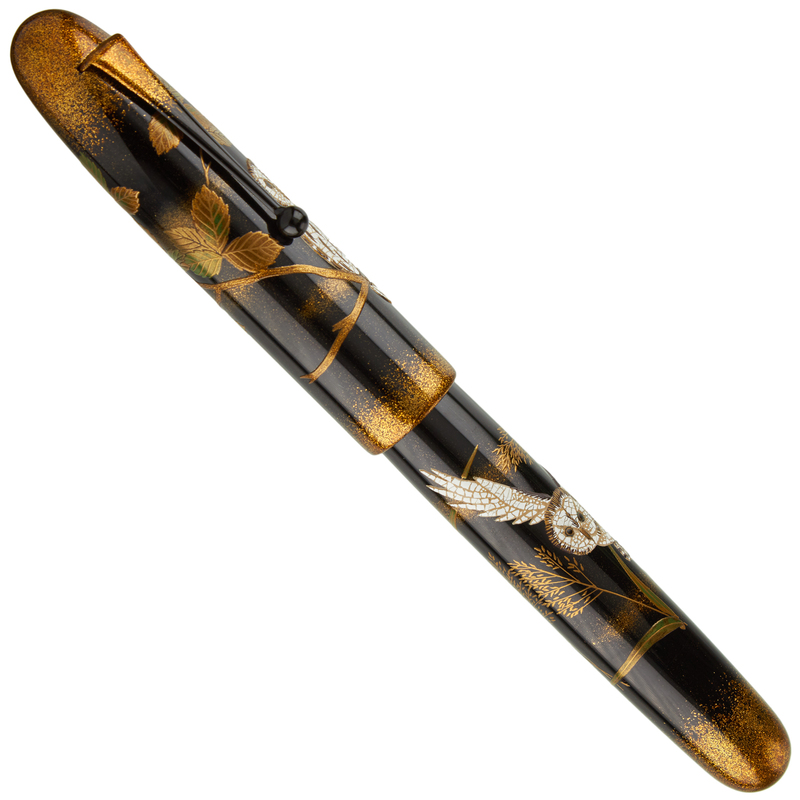 A layer of clear urushi lacquer protects the surface of the pen and adds a lustrous polish. Note the attention to detail in the depiction of the owls. Each piece of shell is hand placed. 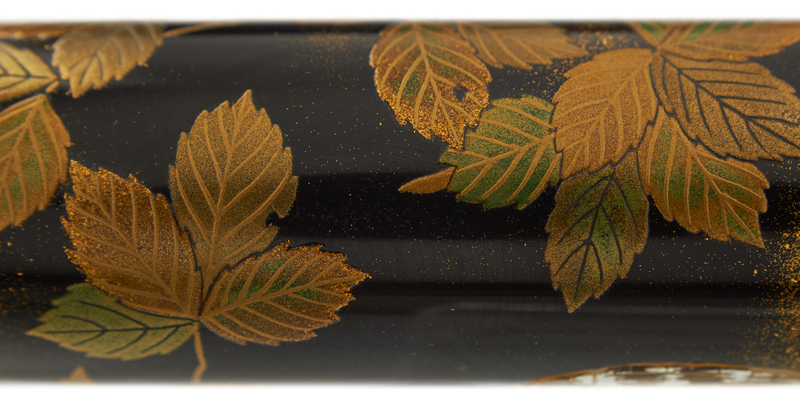 Even the leaves of the Quercus serrata tree are carefully painted using urushi and gold dust. The depth of this scene truly comes to life in the hand. Nestled amongst the trees and wildlife is the signature of the Maki-e artist. The silhouette of Mt. Fuji, as well as the signature pentagon logo, identify this nib as Namiki quality. This is a larger pen. The cap bears much of the weight, however, and when it is removed the pen feels well-balanced in the hand. The tremendous ink capacity of this eyedropper filled fountain pen ensures that you can write in luxury for hours.